Okay, so I’m likely to get lynched, but before all the lovers/haters come out of the woodwork I’d like to remind everyone that these two systems are both great achievements. We are looking at two software systems that have changed the way we look at the world and the way we think about the world around us. The have allowed us to communicate issues and information in near real time and have saved many lives. Before you assume that I am criticizing one or the other, I wish to point out that it doesn’t matter too much which is better as whichever one you use is the best. That said, I’ve worked in GIS for over 15 years and been involved in testing (functionality & stability) of both systems for corporate entities and have found both systems to have little “niggles,” mostly noticeable due to the years of using both software. So, to the developers, this is my list of things I would like fixed. To the new users, this is my personal view of how the software compares (but remember these are MINOR niggles). And to the other users out there, I am interested to hear how you feel or whether I am alone in this. QGIS is an open source (Free subject to GNU license conditions) geographic information system that works on almost all operating systems and comes out of the box with a desktop application. There are also mobile and web versions that can be installed. ArcGIS from Esri is a proprietary GIS that offers a 60-day free trial and also a free viewer (subject to license). The ArcGIS system comes in several different “models” depending on the expected use; these are basic, standard, and advanced. Pricing is based on this core system choice, and then any “extensions” to this system, for example 3D capability, spatial analysis tools , tracking analyst tools (see more here). Esri also provide as part of the system access to their ArcGIS Online and a huge repository of data that can be used under the Esri license. Further purchase allows web and mobile capability. QGIS: Those familiar with a GIS will immediately recognize basic functions such as adding layers, measuring, identifying, and selecting. As with other GIS, there are a multitude of “other buttons” which provide further functionality and can sometimes be daunting, but all toolbars are dockable, and it is extremely easy to set the interface and functions as you like it. From a GIS professional’s point of view, the coordinate system feedback is a little clumsy or, rather, invisible. When changing between coordinate systems there are few options for changing information or ensuring the correct system is being used. Furthermore, when setting coordinate systems for data frames there is little control for setting individual transformations for items, and the interface does not show enough detail on the coordinate system being chosen (which false eastings/northings does the selected system use? etc.). In contrast, QGIS makes using different data formats a breeze. ENC data, shapefile data, PostGIS, or even fgb, amongst a few, are easy to consume and draw up. It is clear and easy to see which formats can be accessed from which point and also where they are layered. Symbolizing the data is a cartographer’s dream with more options than you could ever use, turning simple maps into works of art. QGIS allows map production through another window, which is almost like opening another add-on software called “Print Composer.” Although this is quite different and seemingly unnecessary to begin with, after a few weeks of use the extra functionality and the fact that it runs in a separate window is a blessing, providing some really nice capability. ArcGIS: Out of the box there is a certain familiarity to ArcGIS. There are all the tools you would expect, but it all has a slight 1990s “technical software” feel about it, though again, as with QGIS, there are hundreds of strange buttons and frames. Rather that starting with an empty screen, ArcGIS loads previous projects and shows you a selection to choose from on load (see below for more detail). To the new user, this could be quite confusing. With ArcGIS 9.3, Esri integrated the data browser (know as ArcCatalog) into the software so that you can “Google Search” for your data from you local file server, which makes for finding data extremely easy. Adding new data (not through the browser) can be confusing initially. I remember in the early days spending five minutes every day looking for the “add data.” Once in, trying to add data is a little technical due to having to “set” the folders you want to access data from. If you get over these initial hurdles there are lots, if not hundreds of symbology options that allow you to render you maps with style. The one thing I will say here is that you can’t help but be a little disappointed if you’re going from QGIS to ArcGIS as the ArcGIS uses fonts as its base for many of its symbols, and there are few options for where layers conflict or using your own created symbols. Map production is simple with ArcGIS and utilizes the map frame to display the map output. Creating templates and defining boxes and labels is very easy and intuitive. Again, as with other areas of the ArcGIS system, options are hidden behind other options which are behind further options, which can be confusing for the uninitiated, but once used for a few weeks are quite logical. Where ArcGIS shines from a GIS professional’s point of view is the coordinate system interface. When using conflicting datum there are clear questions raised over how this should be dealt with through use of drop-downs with options for transformations. Furthermore, at any time you can select a layer or map frame to see detail on the coordinate system being used. Where the necessary coordinate system isn’t available or where some customization is required, the interface for adjusting the datum is very simple to even the novice, with further options to set favorite coordinate systems or frequently used coordinate systems. Authors note – this shouldn’t really be a subsection; instead discussion should be on features/extras/stability, but it is such a discussed issue that it has to be noted. QGIS: Loads like most other software (MS Word, Excel, Photoshop etc.). The only niggle is the “did you know” pop up which appears to give advice on the software. Okay, this can be removed after the first use but be warned if using a dualscreen set up – it can disappear and you find yourself wondering why you can’t add your data! ArcGIS: As stated above, it is great that on start up it provides you with a few of your recent projects to work with through an initial splashscreen. Only to do this, ArcGIS has to read all those folders that you connected (see adding layers in ArcGIS above) to find and verify the data before the screen shows. If, like many GIS professionals, you have hundreds of projects running in multiple locations, it can take a fair while to get started. To many new users it is a bit of a gripe as it makes the system seem a little slow and clunky. QGIS: Out of the box there is basic spatial analysis functionality and statistical analysis available. There is also a large geoprocessing toolbox which utilizes many of the tools and functions from other software, such as GRASS, SAGA, and R to allow complex tasks and also to build flowcharts (called geoprocessing workflows) where many tools can be linked together to automate things. Profile Tool – If you have a DEM or DSM as a layer, you can simply draw a line anywhere to extract the profile of the surface as an image or in graph format. OpenGeo – Allows WYSIWYG mapping and load to the (open source) OpenGeo web mapping system. Through an update on the OSGEO4W site, WMS/WFS data can be served directly from QGIS (QGIS Server) to your web map service and is, again, WYSIWYG. Then, if you are using the Ubuntu operating system, you can add the QGIS Web Client to enable full web mapping with tools direct from your QGIS desktop. QGIS has a large community of developers and supporters with a multitude of backgrounds, and this really helps when you come across a problem, issue, or analysis that QGIS might not support. Sometimes a developer can see how useful it will be to the software to include the tool or process, and it can be up in the “Master” (the working development build that is available to download) within hours, OR you could pay someone a small fee (more like a donation than a fee) to help develop your tool (I’ve normally paid between £50-150), OR there is huge support on GIS StackExchange where you could get immediate help from the wider GIS community. The only thing to note is that unless you opt for commercial support (which is VERY cheap), you are relying on the good will of volunteers who are extremely passionate about the software, so sometimes when you have a tight deadline and it is all falling down around you, you don’t have that safety net. Though if you need that, purchase some commercial support! ArcGIS: The package you chose (see pricing above) determines the amount of extras and functionality you have out of the box. To be comparable in this instance, I will base my view from the “basic” package. The basic package, although sounding relatively low on features, has quite a few tools. There are 100+ geoprocessing tools and also advanced editing options. What is obvious though is that even with the basic package, there is integration with the ArcGIS Online facility whereby you can access hundreds of data from detailed basemaps to user-created data (including some government data such as census and crime). ArcGIS 3D Analyst – A full suite of tools for manipulation and display of 3D data including creation of surfaces, DEM, DSM, TINs, 3D analysis (3D buffers, line of sight, etc.) and also access. ArcGIS Network Analyst – Provides network-based spatial analysis tools for solving routing problems. ArcGIS Tracking Analyst – Extends the time-aware capabilities of the ArcGIS system with advanced functions to let you view, analyze, and understand spatial patterns and trends in the context of time. ArcGIS Data Interoperability – Gives more data formats for ArcGIS to use. Esri sells the ArcGIS for Server that “bolts on” to the ArcGIS Suite to provide full web map capability in a WYSIWYG environment. Originally you needed to be quite technical to use this extension but, thanks to the hard work of the Esri development team, there is now a simple button “Send to web.” The Server system also supports provision of WMS/WFS/WCS formats. For those who don’t wish to commit to such a system, there is the ArcGIS Online (at an additional cost) which provides a web mapping capability without the need for a server. The online maps are held on the “GIS Cloud” (Esri’s Servers). Again, this is very simple, and data can simply be uploaded to the ArcGIS Online direct from the desktop. With this service the price is based on amount of consumption rather than a fixed cost like the other extensions. Esri, for a fee, provides dedicated support 24/7. Having had experience with calling about transformation issues and speed issues, they are very hit and miss; rarely have I had a bug fix or work around the same day, but that said they are very helpful and try their best. QGIS: Has a core team of developers who concentrate on the software improvement, and there are commercial companies who offer tools and software development at cost. Further to all this, QGIS utilizes Python for its tool development and has an extensive library of documentation and an online community where help can be obtained. Being a born “tinkerer” I have found it not too complicated when push comes to shove to get into the gubbins and make adjustments, for example adding a geoprocess or changing a coordinate system reference. Where this is built in a modular fashion with open standards (it’s designed for this type of “tinkering”), it is easy to set right when you make a mistake. ArcGIS: Development is led by the Esri development team and commercially led. This is not to say that there isn’t an opportunity for development. Many of the new functionality within ArcGIS has come from user feedback and issues; also for cost Esri is able to develop anything you can dream of. Like QGIS, the software utilizes Python for build of geoprocessing tools, and where the software is so huge, it can be quite daunting to get your head around how to call all the necessary components, though there is a wealth of information on the extensive Esri training, but I highly recommend getting some training. Understandably the software is quite closed so tinkering isn’t so easy. Though you have support if you do make too much of a mess. QGIS: Here is where comparisons start to get a little tricky, and keep in mind that I am writing this based on QGIS 2.6.1 and ArcGIS 10.2. QGIS runs as 64bit software; it utilizes more than one core at a time for processing and it is noticeable. Working with raster data is a little faster than vector data but marginally. Working between different data formats shows no speed issues; the main issues arise when you are using data 4GB and above as you require the available memory to process and serve. ArcGIS: As I write this ArcGIS works as a 32bit application. This means that it only utilizes one core at any time and will use the RAM contiguously. But interestingly, I have found that it will use well above the Windows recommended maximum RAM. In theory, 32bit Windows has a 4GB limit on RAM but ArcGIS will still consume RAM well over this. I currently use a machine with 16GB of RAM and find ArcGIS using it up! Although shadows are available for fonts, there is no option for point symbols. Plug-in/Add-on documentation – There is a huge list of amazing plugins but little or no information on what they do or how to use them. Personally, when I categorize data, I’d like to do it on multiple fields like NAME & CITY or STREET & TOWN. Metadata – There doesn’t appear to be a way to read or write metadata to any of the required standards. Table joins are not as obvious and easy as in ArcGIS. Cartography is a cinch with some beautiful and clever options which allow artistic maps. The options for editing the legend of a map is amazing. You can alter layer names without ever needing to alter the layer name; you can adjust the legend layer order without adjusting map layers. There are also options to further add group titles and subgroup titles for any or all layers without affecting the map. Consuming data – when all other GIS have you beating your head against the wall, you can guarantee that you can bring it into QGIS! The symbol options are dated, mostly font-based when many other GIS are providing more image and stylized options. Although ArcGIS has many geospatial data formats it is able to use and write to, it is also very closed and predominantly uses the Esri formats. In an age where the market is saturated with data it is frustrating to not be able to use PostGIS, ENC, RNC, or raw lidar data in the basic version. Why do I have to turn off the editing to calculate a field? Categorizing and rendering statistical data based on multiple fields is easy, VERY easy. Table Joins & Relates Wow! It is so good that when I work on statistical data in Excel I often find myself joining the tables (even when non spatial) in ArcGIS. There are so many options when it comes to labeling that you can always get the desired result. And when you can’t, you can convert the labels to graphic text and move it by hand! They are both great GIS. I’d love to hear any other comments you might have on this. Feel free to comment below. Hi, very superficial article. In short the decisions should be based on what a GIS application is used for such as: Database interaction, printing maps (check both map pinting facilities), customasation for clients and a model builder tool to ensure certain business processes are followed in spatial work, processing speeds of spatial analytics algorithms. Thanks for identifying that Sarel, you are obviously a more advanced user of ArcGIS (I refer to mention of the model builder) and yes, this blog would be a little superficial in that case. You will have invested a lot of time and money in building a system around your need and are now reaping the rewards. But what about the many GIS Consultants, environmentalists, ecologists, technicians, students, researchers & small business who are using GIS on an adhoc basis, where they don’t need complex workflows, web mapping server systems or simply don’t have the money to invest at the current time? You just need to look at the many GIS blogs like this: http://www.geoplanit.co.uk/?p=21 to see that there is a growing amount of “casual” users of GIS now, the Google Earthers, the Bingers….even my 8yr old daughter is whizzing around in Open Streetmap. As stated in the article, this was from my own personal view through my 15yrs of GIS working in many different areas of the “geo-world”. I would be happy to do a full blow by blow analysis but it would be lost on the “average” user, who wants to dip in & out of GIS or wants to make a map for their homework. I would like to think that this might give the basic GIS user or the person just starting out, a few ideas and hints to get them on their way. I find this article really useful for those who are in the business. The most important thing about QGIS was not mentioned though. It is open source and free. Not free as in free beer, but free as in you can do whatever you are capable of. You just have to use your passion and your mind. Although ESRI has built a great product, it’s pricing makes it forbidden for a target group of professionals who don’t work in big companies. I agree Nikos, what a company can afford is very important. If one looks under the ‘1. Price’ heading you will see it is mentioned that QGIS is open source. Thanks to Nicholas Duggan for putting this article together. Some of your images of the ArcGIS platform (header especially) are nearly 10 years old. Not to mention they’re from a Windows XP desktop. Perhaps you should test some of the latest products from Esri? All images were obtained using ArcGIS 10.2.1 desktop in Windows 7. Not sure how it looks a decade old. The article (as stated) is a personal review of both latest versions (at time of printing). I am currently working on an update to compare ArcGIS 10.3 & QGIS 2.8….unfortunately on Windows 7 though I do have QGIS running on Windows 10 beta also. Yes I enjoyed your read, I have used both QGIS & ArcGIS as a contractor you are subject to what tools are made available to you. These software products are only tools in the GIS world that help the professional solve that problem or answer that question, too many people get caught up in the best tools will only give you the answer. Great article Nicholas. I wish I had read this a year ago. We were looking for a simple cost effective GIS system to be used within our company and decided on Global Mapper. Have you ever looked at that before and how does it compare? It is still fairly current though probably doesn’t show ArcGIS & QGIS in the best light now. I’ve worked with ArcGIS 9.3 and 10.1, but now work exclusively with QGIS 2.x. I particularly agree that QGIS [through its GDAL links] can open just about any data, although I don’t have the same criticisms of its handling of projections and datums. These days, I convert almost everything [raster and vector] to PostGIS and then analyse and visualise through the QGIS interface. That probably makes me an ‘advanced’ user, although I don’t see myself that way. There are still some high-end applications [network analysis comes to mind] where I think ArcGIS [with the required add-ons] has the edge. I also think open-source generally has lagged in remote sensing, but QGIS 2.x is making quite rapid strides to an integrated platform using the OTB and Sextante plugins [I strongly dislike the default GRASS interface]. I now have no hesitation recommending QGIS for production use; it’s not a cheap compromise solution when you can’t afford ArcGIS, it really is a credible alternative. Good article and nice to see the open source world catching up with COTS. One thing I did notice was around your comparison on speed. Whilst ArcMap is still a 32bit application as of V10.1 (I think) it comes with a separate 64bit background geoprocessing add on. I am very new to QGIS. Having used Microstation for Telecommunications’ OSP designing, I am sure QGIS can also be used for the same purpose with better clarity. * “As I write this ArcGIS works as a 32bit application. This means that it only utilizes one core at any time and will use the RAM contiguously.”. 32bit applications are perfectly capable of using multiple cores. * “In theory, 32bit Windows has a 4GB limit on RAM but ArcGIS will still consume RAM well over this. I currently use a machine with 16GB of RAM and find ArcGIS using it up!”. This not only in theory, but also in practice. The fact that software uses more than 4GB on a 32 bit OS means that multiple (sub)processes are running, which also means that it uses multiple cores (as distributed by the OS). Also Paul Cronnie’s option might how it uses more that 4GB. Could you please elaborate? The application uses contiguous RAM, I am happy to provide specifics but in layman terms it will keep”shunting” to the RAM until there is no more RAM available. Monitoring the logs for the cores there is only use of one core (multiple threads). It is true (as Paul Cronnie states), that Geoprocessing can run as 64bit processes and it is highly recommended, though I am comparing the STANDARD installs, the 64bit background processing is a download “extra” for 10.1, 10.2, 10.2.2 & 10.3 at present. Thanks you your good comparison on real experiences. May I permit translate in Thais to my student. Good article. I am using ArcGIS for around 3 years and I am completely amazed with the features of it. Ranging from network analyst to spatial analyst and multicriteria analysis to geostatistical nalysis. Since, I havent used QGIS, I am wondering if QGIS do have such capabilities. Also, ArcGIS provides a powerful tool as ArcGIS online, I wonder how it can be done using QGIS. Is it possible? Can we have web applications and phone platforms such as android, windows and iOS compatible with QGIS? For our online version we use mapguide open source. Hi, thank you for the article. I am using the ArcGIS. On the other hand I dont use the QGIS. I have a question. For example, I prepare some data with QGIS. After that, I wonder can I open the data with ArcGIS. Are the QGIS’s output data similar the ArcGIS’s output data? What are the names of the geodatabase and feature class from QGIS also meet? Hi, it is a good article. Now am using Arcgis 10.2.1. I have thorough knowledge in Arcgis order versions also. I wonder can i work in data driven pages in Arcgis 10.2.1, it is most powerful in layout designing and setting. I don’t know how it can be done in Qgis..? One thing i did notice was the coordinate system in Qgis. In QGIS you can use the “Atlas” function within the Map Composer, works just like the data driven pages with the added bonus that you can add functions. ESRI Tech Support: I have found their Tech Support to be totally AWESOME! Its probably BETTER than the software! Compared to other Tech Support from other Software vendors – ESRI WINS by miles! I would love to stay with ArcGIS, but we need to get rid of Windows. Unfortunately ESRI is married with Microsoft and they decided to fail together. What a pitty for this professional GIS. I worked for the largest user of ESRI software back in the 80s and 90s. We were a beta site and ESRI basically took a ton of what created and added it to their software packages without paying us back than. I stopped updating my personal ESRI software years ago when buggy ArcGIS ten was released. The wheels fell off ESRI when ten was released with so many bugs and problems that they never recovered their good reputation. I have stayed with the last version of 9 since it is so stable. I now am very excited using FREE QGIS for most of my work and reviewing. QGIS is MAC friendly and FAST! In 2016 they now have TONS of free plugins that work better than the expensive ESRI plugins. The best part is the QGIS software is free and is constantly updated, unlike ArcGIS which can be stuck with major bugs for many months. The BIGGEST issue is ESRI now postes ALL their data in 10-10.x format and not the commonly used/shared shapefiles or the older 9.x version. Hey ESRI, it is 2016 not 1993! 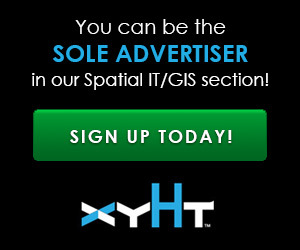 Sorry, but you NO LONGER have a boot on neck monopoly on GIS. NOBODY today is going to pay $1,500 ransom for your horrid buggy software! ESRI currently is one of the greedest run companies in the U.S. The CEO thinks he is still god’s gift to U.S. municipalities with his ancient gis software. How much longer is the government going to pay insane software fee$ for software that is old and tired? QGIS is by far the winner in the GIS software marathon. Can be run on any platform and is free! QGIS is slowly growing and ESRI is slowing dying. Somebody just needs to make an ArcGIS 10.x data importer for QGIS and that should put the final nail in ESRIs coffin. Hi Nicholas, I enjoyed the article. I have been using ESRI products for the last 20yrs or so, since the early days of ArcInfo on a Unix platform. My application has really been limited to the defence domain but I think that a large part of the pull towards ESRI is that large corporations/organisations need to be able to have some comeback if the software doesn’t do what it was meant to. This is something that is non-existent if you take the OS/free option. I have to say that in the early days I believe the military went with ESRI because it was the only option for the applications that it had, this is not the case now. I have been using QGIS for the last 4yrs and have been extremely impressed with the capability and can’t understand why more organisations don’t cross over to OSGeo; particularly with ESRI’s current pricing model. As Steven Feldman would say “There is no such thing as a free lunch”….by this he states that although QGIS is free, if you are using it commercially & require support, then you can get commercial support for QGIS. Whereas with ArcGIS, you pay for you software and then an annual support license, with QGIS the software is free and you will get a fair bit of support for free with the excellent developers BUT if you require full support for QGIS you can pay and it is normally a lot cheaper than the ESRI annual support cost (I found development of an add-on cost me around $100). Look at the work of Lutra Consulting and Astun Technology who are very well priced. To all those who have commented on this, thank you for your input and I find it extremely interesting to read your thoughts on this. Thanks for a good review! ESRI products are dominant in US Federal applications, leading to pricing that makes them unaffordable for many in less well-funded use cases. One example is FEMA’s HAZUS kit for disaster and emergency planning; I’m working on a transcription of the FEMA HAZUS-MH package to QGIS, PostGIS, and web GIS and would be interested in contacting anyone interested in joining me in this work.